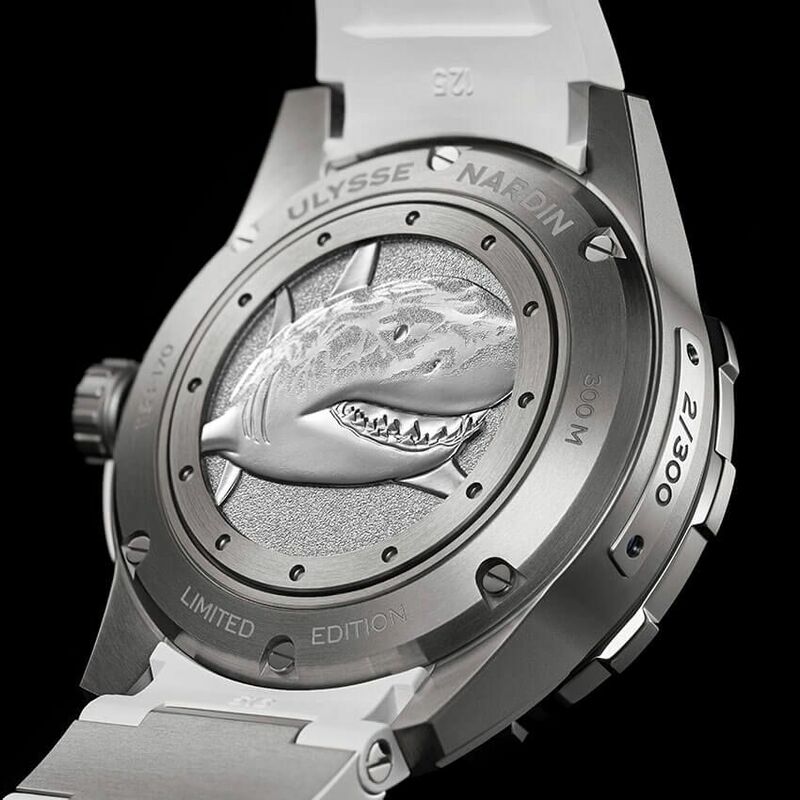 The revamped and streamlined Ulysse Nardin Diver collection was introduced in mid-2018. Though still very much a Ulysse Nardin, the design is thoroughly reworked for a sleeker and more technical look. The titanium case still measures a respectable 44mm across at a height of 13.05mm. 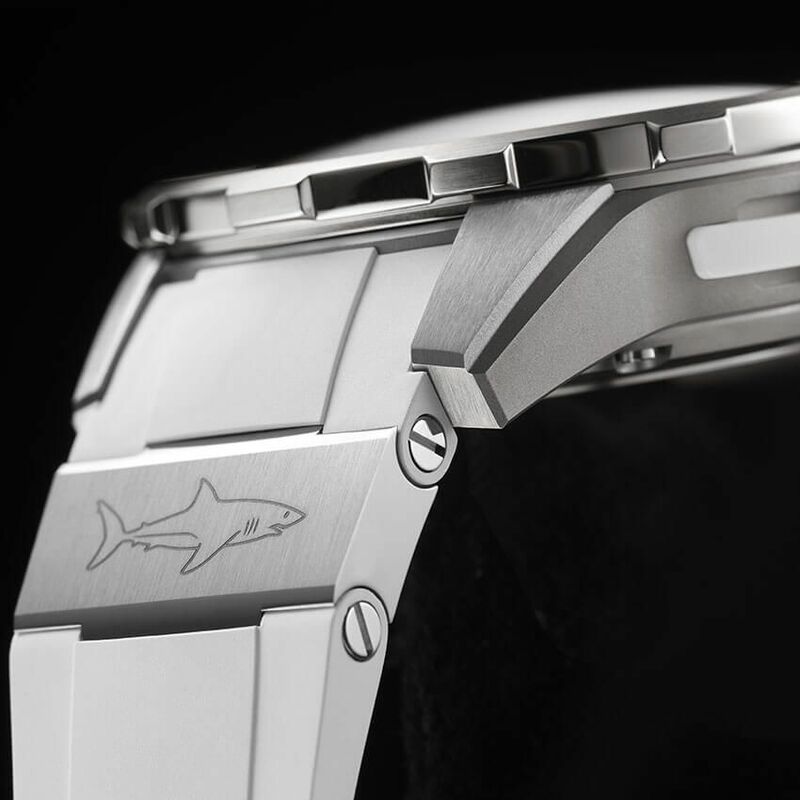 The bezel now features a more numbers on the four cardinal points (rather than every 10 minute) and a circular motif rather than the waves, while the crown guards have been replaced by rubber inserts. The rubber strap has a more classic design, with one rather than two inserts and a pin buckle. This watch is powered by Ulysse Nardin's caliber 118, which has small seconds and a date window at 6, a power reserve indicator at 12, and Silicium and Diamonsil technology to ensure long-lasting accuracy at the highest level. 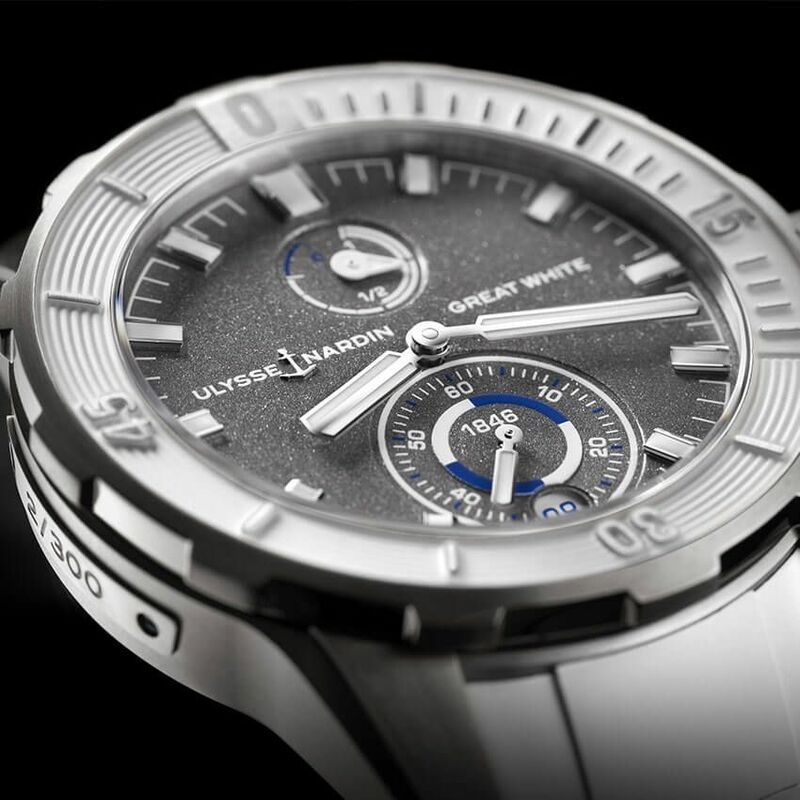 The reference 1183-170LE-3/90-GW 'Great White' is a limited edition of 300 pieces. 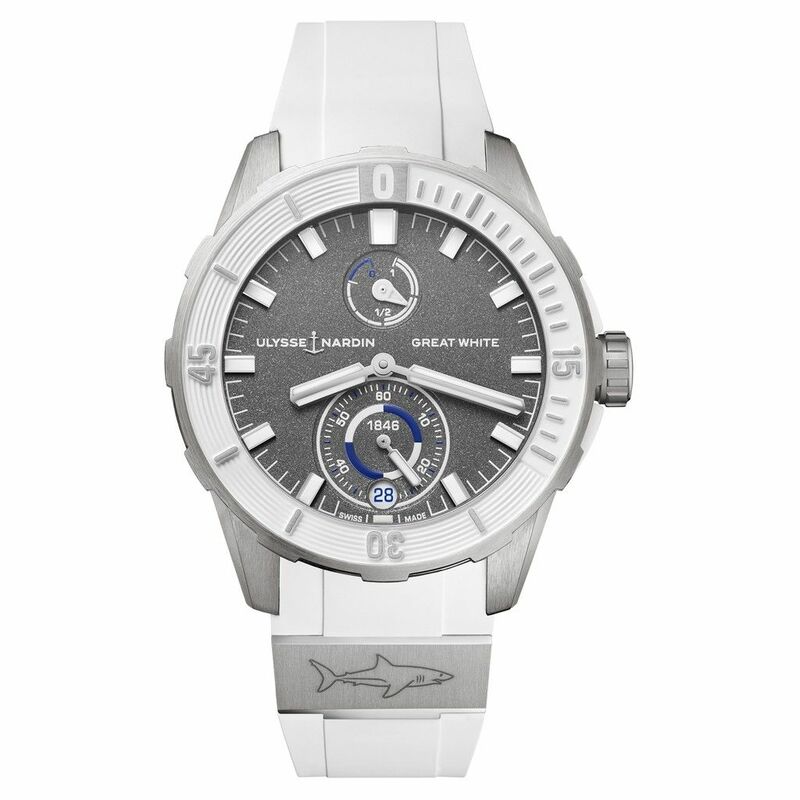 It features a grey dial and a closed case back with an engraved image of a Great White shark.